Check it out! Don't forget to sign up to get updates on the band! I have admired the work on 'The Logo Mix' for sometime and it's an honor to have one of my logos on their 'featured' list. I reccomend taking a peek when you get a moment. I entered this dive tag design into a competition hosted by wetpixel. Fingers crossed! 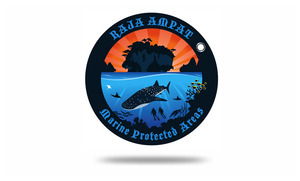 A week of diving in Raja Ampat in Papua New Guinea would be a dream come true! Either way, it was fun to do. I had 4hrs to design it and send it in before the competition closed. Nothing like a deadline to motivate! Got some great new business cards from the lovely people at Moo.com Also ordered this great little card holder which fans out so people can choose from your different designs. Very clever! Click on the link below to get a referral 10% discount, compliments of Mark and Greenbomb Studios. ..and also on Facebook. Thanks to Mishme, you can now send animated Bogies to your friends. Very cool. Tanks of Fury app available on iTunes app store! 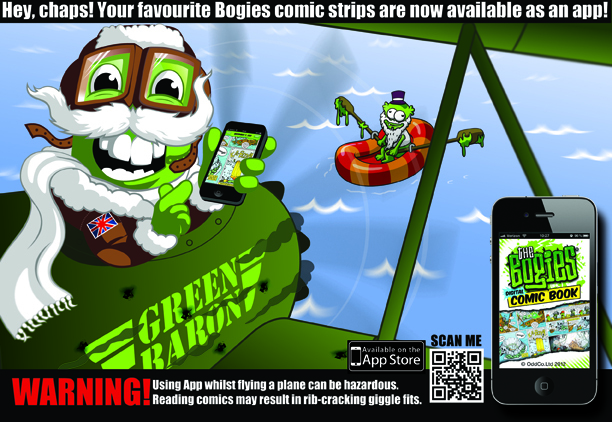 Bogies comic app available for FREE on the iTunes app store now!